The panel of judges of The Dieline Awards 2014 have awarded Lavernia & Cienfuegos's EXTREM 1st Place in the Prepared Food category. The good news continued with when we also won a 3rd place award for our range of fragrances for Etnia Cosmetics. 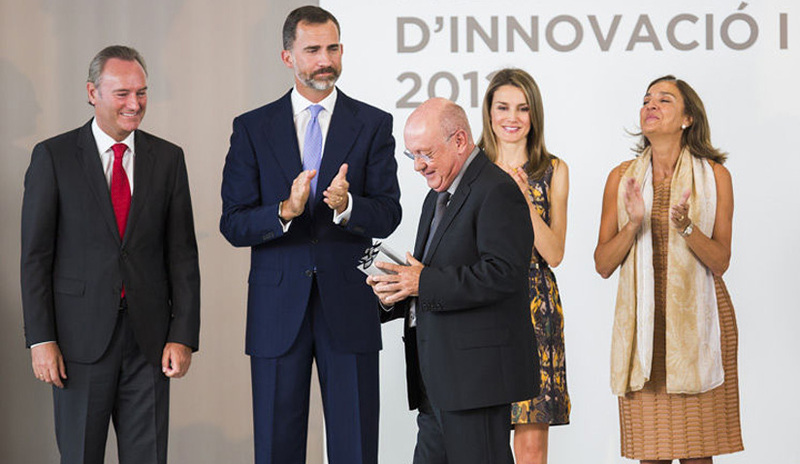 EXTREM, a new Brand of Iberian, acorn-fed ham has been launched by Agriculturas Diversas, a Spanish company with a long tradition in the premium ham sector. EXTREM required prestigious new packaging for their top product that could be bought as a special gift as the brand positions itself in gourmet shops around the world. The packaging needed to transmit the product’s extremely high quality to put it on par with other delicacies at the high end of the gourmet world, such as caviar and foie. We designed the packaging in matt black, with a contrasting golden pig handle. An elegant serving tray in which to present the finets cuts of Iberian ham “comme il faut”. The brief was to bring to life the principle ingredient, preferably through the use photo-realistic images, with something that adds a touch of good humor before serving. The romantic image of the waiter's hands gives positive connotations of good service and quality. The steady black and white photography helps to visually unify the whole range, which is complimented by use of simple bold typography to balance the design. The size of the ingredients, in colour, have been exaggerated in relation to the plate to emphasise the high natural vegetable content of the soups in comparison to its competitor's. This play on size coupled with the waiter concept adds the touch of humor. Bon appétit! “Wines of the World” adds LAUS to its awards! This is a range of wines that Belgian supermarket chain Delhaize offers within its own brand “365”, which includes simple, everyday products at affordable prices. The cork is a sign of humility, an object of little value, often used as craft material, as a simple and easily manipulated element with which to play and create. The use of cork gives it the air of something simple, typical of an everyday product. The cap is the element that unifies and personalizes the whole range. The motif designed for each label refers to the country of origin. 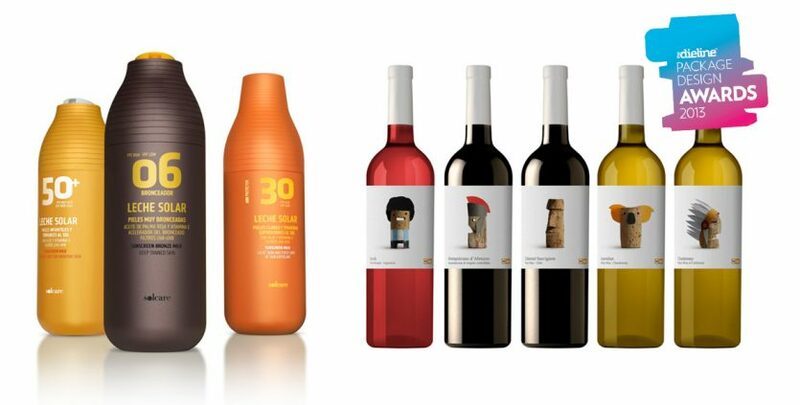 Two of our projects, sun care range 'Solcare' for Mercadona and Labels 'Wines of the World' for Delhaize, have been awarded once again. On this occasion, each have been awarded silver in the Health & Beauty and Wine & Champagne categories respectively at the Dieline Packaging Awards. TheDieline.com is the worlds most visited packaging website, which has turned into the into the leading voice for the packaging industry. 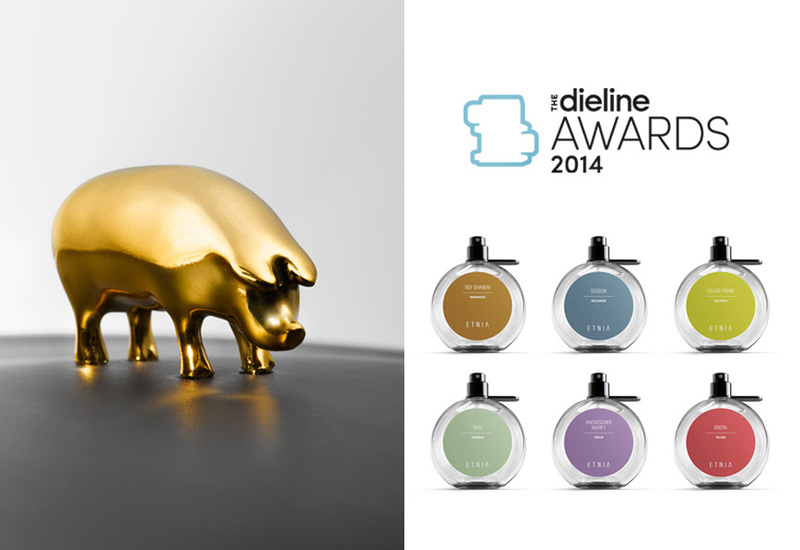 The Dieline Awards formally recognize the world's best consumer packaging design. The industry expert panel for the 2013 Awards presented 42 awards over 13 categories from a selection of over 1100 projects entered. The “2012 National Award for Design” goes to Nacho Lavernia! This distinction recognises, in part, a long career path spanning many sectors, which started back in the mid 70s. However, it is fair to attribute this accolade to the work undertaken at my current studio, in which my partner, Alberto Cienfuegos, and I have been working together, side by side, for over 15 years. So it is with great pleasure that I accept this award along with Alberto at Lavernia-Cienfuegos. With collaborators and suppliers, who have always been there. With all that, at one time or another, have worked with me as partners, colleagues or as interns. 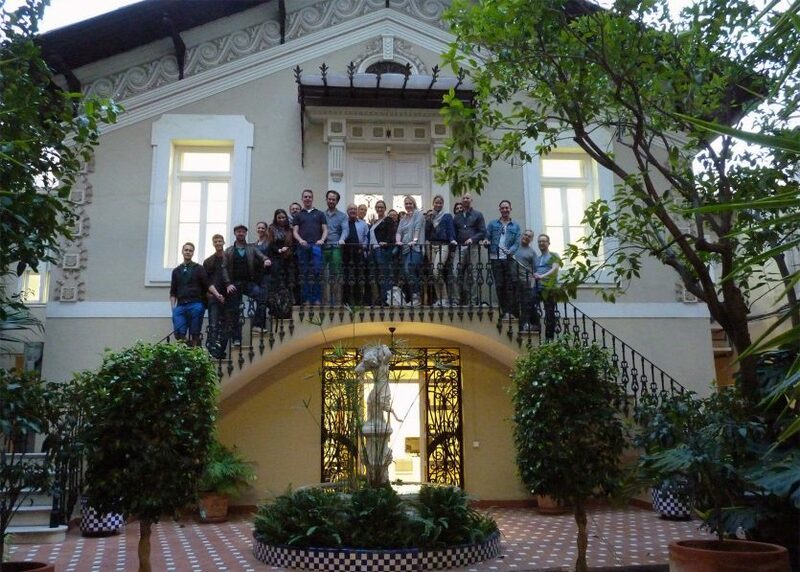 And last but not least, with the whole team at Lavernia-Cienfuegos.